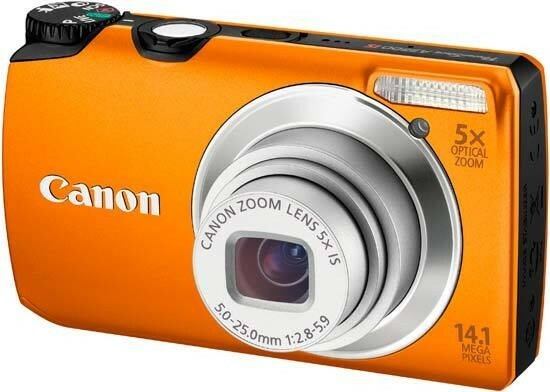 Reviews of the Canon PowerShot A3200 IS from around the web. Announced at the 2011 Consumer Electronics Show, The Canon PowerShot A3300 IS replaces the A3100 IS at the top of Canon's A-series compact range. With a redesigned body shape, 16 Megapixel sensor, stabilised 5x optical zoom and 3 inch screen the PowerShot A3300 IS delivers easy to use point-and-shoot modes with basic control, but no manual exposure modes. A new LIVE View Control mode provides results-based control over exposure compensation, saturation and white balance. The A3300 IS also offers 720p HD video shooting which is an advance on its predecessor, though, disappointingly, you can't use the optical zoom while shooting.